&QUOT;NAM DOC MAI&QUOT; IS A PREMIUM CULTIVAR INTRODUCED TO FLORIDA FROM THAILAND IN 1973. 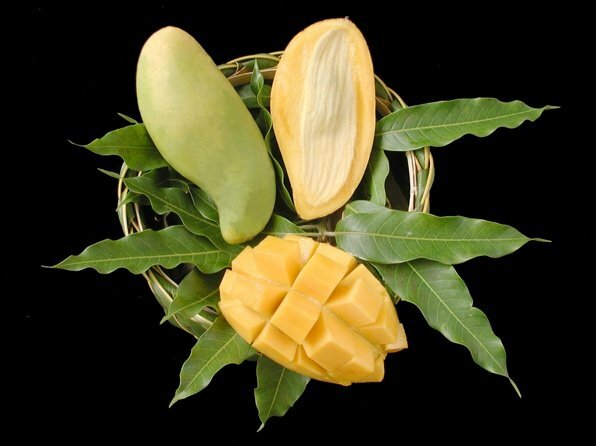 IT IS HANDS DOWN THE MOST SOUGHT AFTER OF THE ASIAN MANGOS, AND FOR GOOD REASON. THE FRUIT IS FIRM, SWEET, AROMATIC AND COMPLETELY FIBERLESS, AND IS BORN ON A TREE SUITABLE FOR A SMALL BACKYARD. THE FRUIT RIPENS FROM JUNE TO JULY.